Top-rated Michigan Dining has initiatied a conversation around healthy, sustainable dining options and has expanded choices to include international, ethnic and cultural foods designed to provide a well-rounded food education for all students. Beginning in October, MDining now offers Kosher-certified menu items out of a new Kosher-certified serving area in the South Quad dining hall. “This all came about because students talked to us about what they wanted, what they needed, and what would make campus feel more like home. That's what Michigan Dining is about. "—Steve Mangan, director of Michigan Dining. Certification for the South Quad Kosher Kitchen is overseen by Rabbi Yosef Asayag from Seal-K, a non-profit organization with a mission of strengthening the observance and the dissemination of knowledge of Jewish law and its practical application. The ongoing Global Chef Series was designed to incorporate new foods and cultures into the U-M dining experience. This October, Mexican Chef Iliana de le Vega brought authentic Mexican cuisine to students, staff and the campus community. Other visits were from New Delhi Chef Nishant Choubey in April and an early October visit from Kenyan Chef Njathi Kabui. The series is designed to help MDining chefs, staff and students incorporate more variety and authentic cuisine into daily offerings, as well as learn about environmental and sustainability issues around the globe. 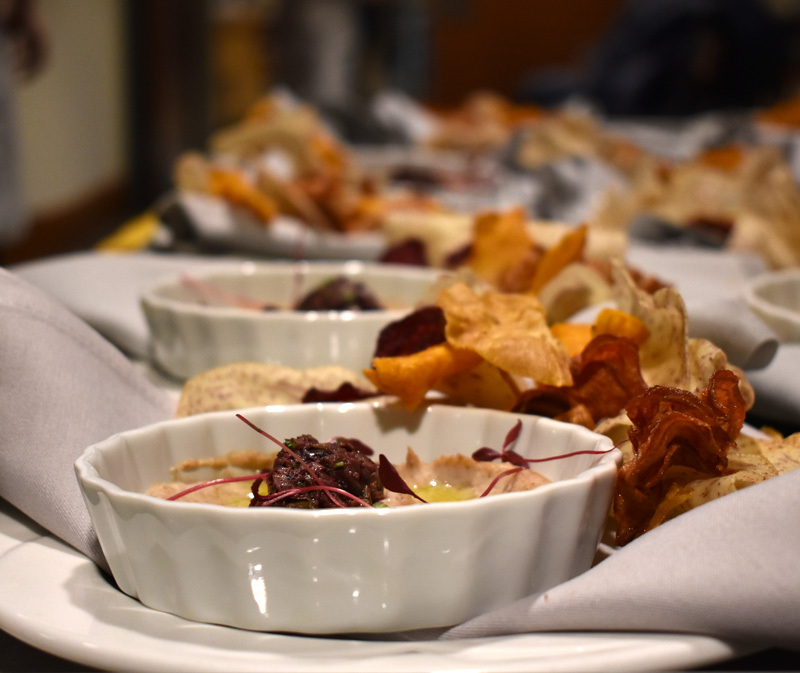 Alexandra Plosch, a junior with a double major in psychology and communications, participated in the Global Chef Series with Chef Iliana by attending one of the South Quad Signature Tastings. These five-star-like themed meals give about 20 students at a time the chance to taste new culinary treats. The pop-ups are themed around a diverse assortment of cultures. At each meal, the culture and history of the food are discussed. One recent pop-up was one organized in conjunction with the Japanese Student Association on campus. There’s still work to be done. Junqi Zhu, an undergraduate student from China, expressed that more variety across cuisines would be welcome. Some students have expressed a desire for even more vegetarian options. Sustainable Mondays, recently implemented to offer additional plant-based vegan and vegetarian entrees, may meet that demand. Other improvements include increasing plant-based options and working with vegans and vegetarians to have plant-based options at every meal. Turchan says he and the staff, with student input and assistance, will continue to explore and expand the options to ensure a well-rounded experience that meets students' needs.